Before joining Sentara Healthcare, Jordan served as Chief Clinical Officer for Ascension Care Management (ACM), a subsidiary of Ascension. 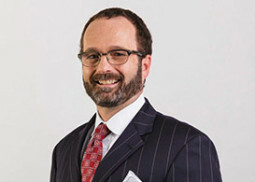 Prior to ACM, Jordan was Physician Network Executive for Saint Thomas Health in Nashville, where he led the implementation and design of physician alignment strategies. He also served as Medical Director for a large private practice, incorporating multiple specialties while practicing internal medicine specializing in hypertension. Dr. Asher holds an M.D. from Vanderbilt University, as well as a Master’s of Science in Medical Management from the University of Texas, Dallas and a graduate Certificate in Formation for Catholic Healthcare Ministry Leadership from the Aquinas Institute of Theology and Ascension Health. He is a member of the American College of Physician Executives and the American Society of Hypertension. Dr. Asher enjoys spending time outdoors with his wife and sons, as well as playing golf and reading about the Civil War. He was also once a member of a hot air balloon racing team.